Dr. Mayank Bansal : Consistence hard work, guidance of DAMS teachers and seniors. Dr. Mayank Bansal : Contributions of parents is un explainable in words. Today where I am is just because of my parents, family and friends. They have been a great support and pillar of strength in my life. Dr. Mayank Bansal : My father. Dr. Mayank Bansal : One should focus on one or two exams and should give as many exams as it helps to overcome the phobia. He secured Rank 4 IN Haryana PG AND 54 IN Manipal. Dr.Rahul Aggarwal: Lots and lots of hard work. Dr.Rahul Aggarwal: It would have been impossible without them. and its only because of my parents and my friends that i didn’t stop believing in myself. Dr.Rahul Aggarwal: Across for all short subjects. Revise short subjects before exams in a very quick time ,it really boosts the confidence. Medicine and surgery Amit Ashish were really good. Rachna Chaurasia for Micro, Gobind Garg for Pharma, Sakshi Arora for OBG& ENT, arvind arora for paedes, spm, pathology. Dr.Rahul Aggarwal: Couldn’t have done without DAMS. They were I think a keystone in my preparation. DAMS course is well planned and covers a whole syllabus well on time. Dr.Rahul Aggarwal: sleep well before the exam day ,stay calm i attempted 284 questions in aipge. 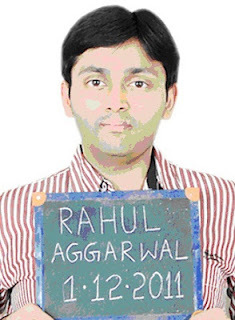 Dr.Rahul Aggarwal: paediatrics from rohtak. I especially liked the student friendly atmosphere And would recommend DAMS to my juniors. Dr. Vishal Verma did his MBBS from Dr.S.C.Govt. Medical College, Nanded, Maharashtra; & joined DAMS in 2011 Regd no. DL01198. · RANK 1035 IN AIPGMEE 2012. 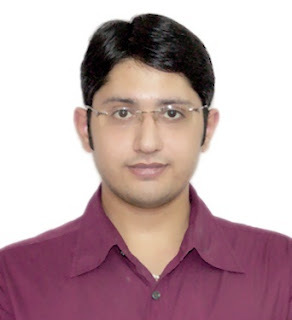 Dr Vishal Verma: The secret is hard work with positive attitude, dedication and the perfect guidance I got from DAMS. The DAMS faculty was very cooperative and helpful and was always keen to render assistance to every student. Dr Vishal Verma: My family has always been a tremendous support for me and it was impossible to achieve all this without their wonderful support. Dr Vishal Verma: My parents and family members. Dr Vishal Verma: To be honest, I did doubt myself once, but thanks to Dr. Sumer Sethi, who made me believe in myself and focus on target with a beam of positive attitude. Dr Vishal Verma: I read the standard textbooks like harrisons and bailey & love during MBBS days. It is an extremely difficult task to go through these books with the exam head-on, as there is always a shortage of time and 20 subjects are to be covered. So I primarily followed DAMS classroom notes, which were actually helpful in solving at least 8 out of 10 questions. Across was less productive as there are too many mistakes. Dr Vishal Verma: What is actually required is an optimum balance between these two ways, so that you can have sufficient number of revisions done. You should know which subjects/ topics you are better at, and then decide which topics you can go through quickly, and which ones require more time. Dr Vishal Verma: It is always wise to appear in multiple exams, as it helps you to define the strategy for those 3-3.5 hours of exam. But one thing is very important. It’s that your focus should be only one exam. For example, as in my case, I focussed on AIPG and my whole preparation was targeted for AIPG only. I never deviated from this target, though I appeared for 3-4 exams in between. Dr Vishal Verma: The bigger ones, including patho, pharma, micro, medicine, surgery, psm, obgy need thorough study to ensure that you qualify. But most students are relatively weaker in short subjects, SARP(skin, anaesthesia, radiology & psychiatry) and BAP(biochemistry, anatomy & physiology), so these become rank defining. Dr Vishal Verma: stress, tension and nervousness are on the cards for each and every candidate on the day of exam. So firstly you need to hold firmly your mind, heart, brain, etc., so that these remain in your control and you don’t panic. Usually 250-275 is the recommended attempt. I did 275. Dr Vishal Verma: I am interested in orthopaedics. Dr Vishal Verma: I pay my utmost regards and thanks to each and every teacher at DAMS, without whom it was simply an impossible task for me. The best thing about DAMS is the simplicity of teaching even the most complicated topics. The DAMS exclusive club on facebook is a boon for instant solutions to your queries, and also for correction of the mistakes in various guidebooks. To my juniors I would simply say that DAMS has a clear edge above all others, and especially with the NEET pattern coming up, DAMS is the only institute which is providing NEET-based coaching for the past few years, and teachers at DAMS are definitely the best predictors of potential MCQs for future. Dr.Madhurya B : Not just contribution ,the success entirely belongs to my family, their help support and motivation without which i am nothing. I thank my GOD Almighty for blessing me with such lovely mom dad and brothers. Dr.Madhurya B : My dad encouraged me and my mom and elder brother both doctors inspired me to take up medicine. Dr.Madhurya B : Yes many a times during my breaks when I used to think of exams results and high competition otherwise when I was into my studies i used to forget all these. Dr.Madhurya B : I used to refer to standard text books[harrisons, robbins, park ,katzung, ananthnarayan and others] to study selected important topics and dams class notes. 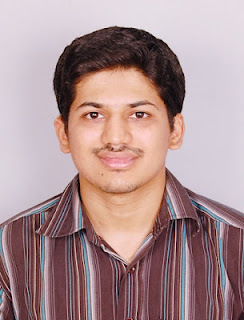 Dr.Madhurya B : DAMS helped me in completing the subjects timely as I used to coincide my timetable with DAMS class schedule, DAMS GTs helped me to correct myself the mistakes I used to commit in the previous exams. Dr.Madhurya B : Selective intensive. Dr.Madhurya B : Attending multiple pg exams makes us realize the seriousness of heavy competition, the importance of a single MCQ ,helps us to correct ourselves simple mistakes which matters a lot. 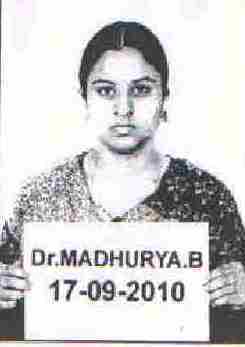 Dr.Madhurya B : I gave equal importance to all subjects. Dr.Madhurya B : In pediatrics. 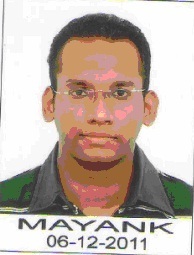 Dr.Madhurya B : I enjoyed attending every DAMS class. Every teacher has influenced me. I like their Concept based teaching which helps us to have command on the subject. Advices to my juniors take every class and GT seriously missing one class is like missing many things.